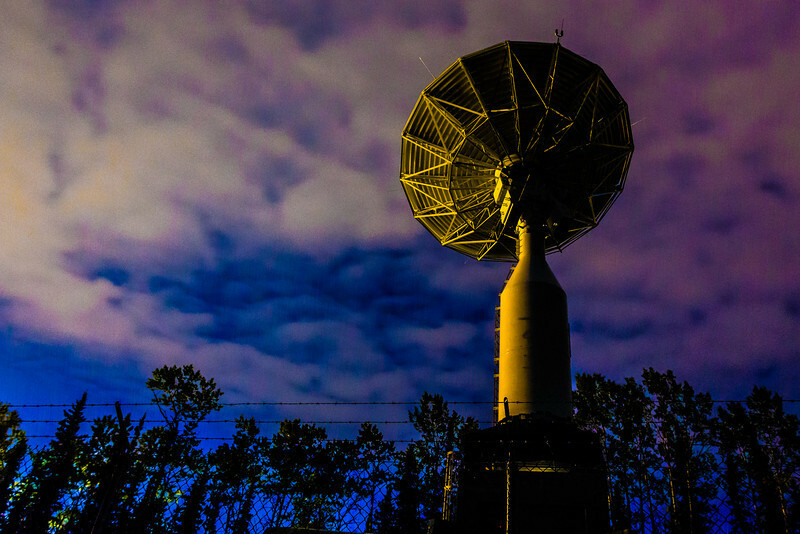 Dawn breaks in the eastern sky beyond the newly installed 11-antenna operated by UAF's Alaska Satellite Facility. Once fully operational, the dish will gather data from spacecraft about land surface, biosphere, atmosphere, oceans and outer space. It's one of several strategically placed antennas that can capture data from polar-orbiting satellites several times per day.